This is a continuation of our last guide How To Build A List For Musicians. In that guide we looked at why you need to start building a mailing list for yourself as a musician, and how you can get started on doing that asap. In this guide however, we’re going to look at what you should be doing once people are on your list. After all, there’s no point having 1000 people on your list if you never talk to them right? The solution? Email marketing. Yes it has the word ‘marketing’ in it, but it’ll be the kind of marketing your subscribers will thank you for and have them begging you for more. 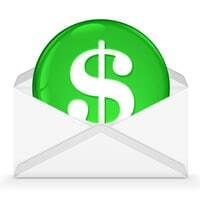 What Is Email Marketing When It Comes To The Music Industry? What Should You Email Your List Subscribers? Email marketing is the process of communicating with the list of subscribers you are building up. You will be doing this by sending them emails, and keeping them informed with interesting information and goodies related to your music career. You’ll want to keep your email subscribers happy, as with a strong mailing list, you effectively have an army of fans you can communicate with at any time. As with any army though, you need to make sure you keep their respect, communicate with them clearly and regularly, make them feel valuable, and essentially keep up their motivation about your cause. Once you’re all on the same page and you have a lot of people signed up to your list, you will be in a very powerful position. To make your mailing list work, you’ll need a way to communicate with the people that join. 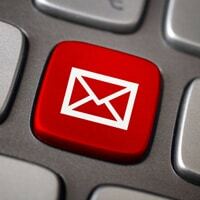 It’s no good sending out emails on your Hotmail or Gmail account, they simply aren’t designed for the amount of emails you will need to deliver as your fan base builds up. Instead, you need specially designed internet marketing software that will do the job you need. The top rated email marketing software at the moment is Aweber. I currently have both an Aweber and Mailchimp account, but if I was to go back and choose just the one, I would go with Aweber. Aweber not only allows you to send mass emails to the subscribers on your mailing list at the click of a button, it also allows you to see who’s opened your email and what links they’ve clicked inside. This is ideal for seeing which of your subscribers are most responsive to your emails. These people are the ones that will make you the most money and be more likely to promote your music, so take good care of them. There are a load of other features Aweber has which make your email marketing efforts easier, but you can check their site for the full lowdown. Keep messaging them until they either buy from you or unsubscribe. I personally suggest you use the first option, and I’ll tell you why. If you want to do well in your music career, you need to build up traction. You need everyone getting behind you and supporting you at key stages of your career, and you need a strong fan base to make this happen. 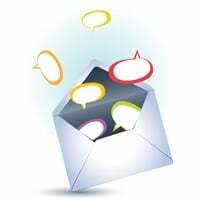 If you build up a relationship with your mailing list subscribers and get them on your side, this could turn out to be a large number of the people that will support you in your times of need. Yes you will make sales from them along the way, and yes they will be helpful for other things too. But if you can use your list to say all tune into the launch of your video and vote for it, or to request your song on a popular radio station, this will be a lot more valuable then a quick sale in the long run. So aim to keep people on your list for the long term, and make sure you send them interesting news so they carry on opening and support you when needed. People power is all important in your music career, so make sure you get the fans on your side! Ok, let’s look at what messages you should be sending to your subscribers. The important thing to remember when email marketing, is people aren’t going to stay interactive with you if you don’t send them anything interesting. If you only ever email them to say that you’ve released another song, people are going to get bored of you and end up unsubscribing from your list very quickly. Worse yet, they may even mark you as spam. It’s because of this that you need to vary the messages you send out, and make sure you’ve always got what your subscribers want on your mind. A Story And Links To Your Website. A good thing about your list is that you can use it to direct people where you want. Just posted an interesting article on your website? Then tell your list about it! Just be sure to include personalized and friendly text in this email to get people’s attention. While you won’t want to do this too often (It can make your music seem cheap), you may want to send out a free track to your subscribers once every month or two. This’ll be a nice way to say “thank you for staying on my list”, and will remind them that you still exist and continue to make good music. If you make it clear that your subscribers get all your most important information first, people will be more likely to subscribe. Just be sure to really send the news there first. If you ever have a competition to run, why not run it to your list first? Once again you are rewarding people for taking that next step with you, and giving them a reason to stay signed up to your list. Another good way to keep people on your list, is to give them exclusive news and goodies that can’t be seen anywhere else. It’s not just a case of them hearing news first or getting a first listen to your song, it’s case of “If you’re not on the list, you’ll miss out for good”. Once again, this’ll help keep subscribers and get more people to sign up. This is just a small list of the types of emails you can send, the possibilities are limited only by your imagination. The main thing is it stays interesting, so have a think about what your subscribers are really going to appreciate and thank you for. Now that you’ve built up your mailing list (Or should I say now that you’re building up your mailing list, this is a never ending process) and you know about building up a relationship with your subscribers, I’m sure some of you will be wondering how you can make money from this list. If you keep people on your mailing list entertained however, they’re more likely to stay a subscriber and respond to your messages. This is useful when it is time to promote a song or merch; your mailing list will trust you more and be more likely to buy from you. While I wouldn’t recommend you send ‘sales pitch’ emails that often, if you send one between every 5 or 10 entertaining emails, people can’t really complain. You’re scratching their back and providing them with a lot of goodies and info for the most part, so it’s not unreasonable for you to ask for a small favor in return if they like what you offer. Of course, there’s no pressure for your subscribers to buy any songs or tickets if they don’t want to. You will get some subscribers only ever staying on for your freebies and info, but as long as you have enough subscribers, you will also get some people who will buy your material. The more targeted subscribers you get on your list, the more likely it’ll be you’ll come across more of these people. Another way you can make money from your list, is by including a email template with a sidebar in it. In your email’s sidebar, you can have a picture of your latest song cover and a link to the page where they can buy it. This way, you’re not mentioning it anywhere in your main email, but people will still see it. If they’re at the stage where they’re ready to buy from you, they may click it and go on to make a purchase. When your new single or album is coming out etc. Pretty much the kind of stuff you’d want from being on a musician’s list right? Well, the more eagle eyed of you may have noticed that by telling people when you’ve a new single / album out and by letting them know about your tour dates, you’re actually monetizing your email list. You don’t want to promote to them anything unrelated to what they signed up for (E.G. you wouldn’t want to sell your fans football kits, it has noting to do with what they have shown interest in and will once again unsubscribe), simply stick to what you know they like and give it to them. It’s win win, they get something they enjoy, you get ticket sells or album purchases. Building up a mailing list is only half of the battle; you also need to market to that list. This isn’t all selling, it’s building up a lasting relationship that will allow both you and your fans to benefit from each other. Send your list useful into, and watch them pay you back through support in return. Get them super knowledgeable about you and your music, and watch as they grow into life long fans. 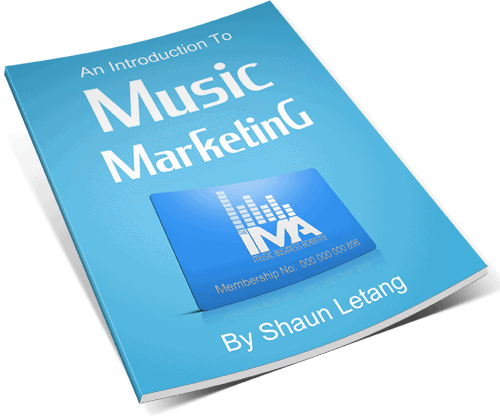 If you want to learn more about effectively email marketing to your list, you can learn more in my online music business course. Here I let you know exactly what you need to do to get your email marketing efforts moving, as well as a number of tips to greatly increase the amount of subscribers you get. If you found this guide useful, please share it using the social buttons below. Good luck with your list building and email marketing efforts, let me know how it goes.